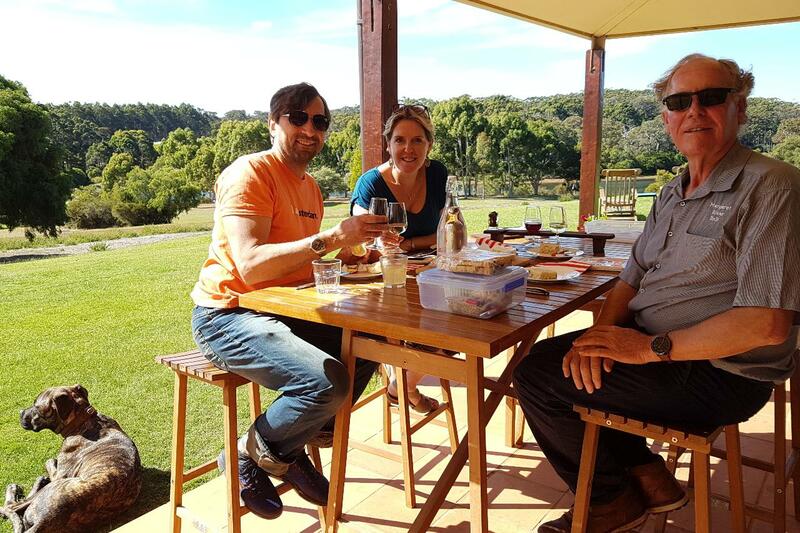 This Wine Tour of Margaret River in south west WA will visit iconic and boutique wineries and the most picturesque locations discovering stunning panoramas. Enjoy great tastings while learning about the landscapes, terroir, history and wildflowers that make the Margaret River Wine Region so unique. If you like scenery and photography, this is the tour for you. You will have a great day so click here to book now! A great lunch in a stunning setting is also included. You will see beautiful coastal scenery, breathtaking Hamelin Bay (stingrays), majestic Boranup Karri Forest and if time, check out a cave. 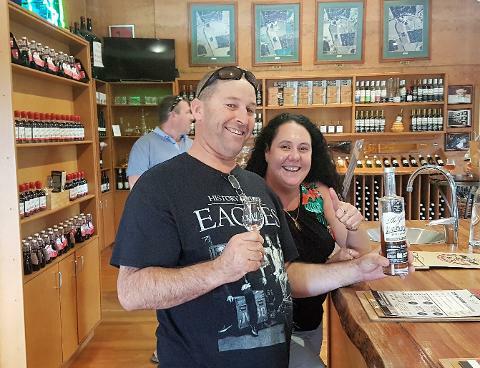 Visit 2-3 boutique wineries for free tastings as well as free tastings at chocolate, coffee, olive, jam & nougat factories and many other attractions including breweries and distilleries, depending on time and inclination. This is an all day tour and includes a delicious lunch paired with premium wine in a vineyard setting. Complimentary bottled water and refreshments will be presented during the tour. We can also craft a unique tour just for you as well so let us put together a special itinerary. Call 1800 024 649 or email for more information. Known internationally for its wines and as a great place to visit, the region also has some spectacular scenery. This tour will take you to the best sights where every photo will have a wow factor in it. But there is a reason why those locations are spectacular, so the tour will unravel the secrets of the rocks, the soils and plants and the landscape. 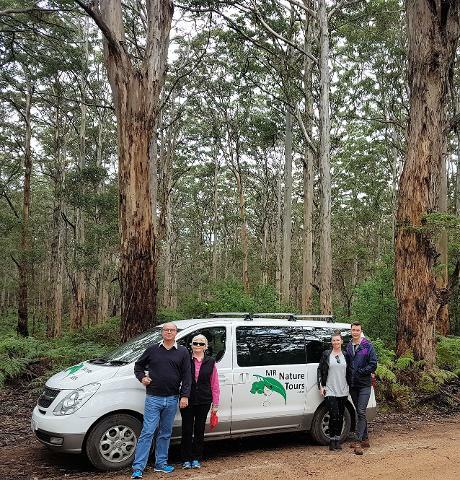 Margaret River Nature Tours will show you the beautiful natural history of the South West, concentrating on the Cape to Cape Region which coincides with the famous Margaret River Wine Region. You will discover the underlying geology that has created the spectacular landforms and ideal soils that produce all the wonderful food and produce that you can enjoy here including the wines. Our ancient geological history has created an incredible diversity in plants and animals. The Nature Tour will bring you to examples of the unique plants of the South West, many with exquisite wildflowers. The ancient Leeuwin Complex (1.5-0.5Ma) is not as old as the Yilgarn in the rest of the south west and comprises granitised meta-sediments and gneissic granites. Permian, Jurassic and Cretaceous sediments of the Perth Basin are exposed at a few localities and an Early Cretaceous basalt flow can be seen that heralded the separation of India from Australia. Early Tertiary tropical climates produced a deeply weathered terrane, resulting in thick laterites (gravels) and etching out the joints and fault lines in the granitic gneisses of this ancient complex. Ice Age sea level changes and desert climates resulted in sand dunes then covering most of the terrain. Those sand dunes closest to the coast were rich in shell fragments and the remains of calcareous algae that dissolved and re-cemented the dunes into calcarenites (limestones). Many spectacular caves then formed in these cemented dunes. The many different rock types (gneissic granites, sandy/coaly Mesozoic sediments, laterites and sand dunes) are all very low in nutrients. Their soils are also very poor and mostly very thin. The plants of the Leeuwin-Naturaliste Ridge have had to adapt not only to these poor soils, but rapidly changing climates during the ice ages that went from cold and dry during the maxima to hot summers and wet winters during the inter-glacials, such as our present climate. The nutrient and climate stresses and the opening of new niches have resulted in one of the major bio-diversity hot spots in the world. Spring is the best time to see wildflowers and most of them are endemic to the region. But because of the diversity, there is all year an abundance of flowers to examine and photograph. With an abundant and diverse flora, there is also a diverse and abundant fauna, particularly insects. There once were many small mammals in the forests but these have been decimated by foxes and feral domestic cats so seeing wildlife is not so easy. But there is no shortage of kangaroos. Birdlife is also abundant and you will no doubt see many during the tour. Each tour is individually structured to cater for each person’s interests and to create a memorable experience. With only a maximum of 7 people on each tour and with so many options, everybody’s tastes will be catered for. There are many photo opportunities where we can stop as long as is necessary to get the shots you want. Apart from stunning coastal scenery, geological exposures and botanical spectacles, we will pass by many attractions that can be visited, if you wish. These include wineries, breweries, cheese, chocolate and nougat factories, distilleries, olive, silk and cosmetic factories and more. The full day tours are run daily in our luxury people mover, starting at 10am and finishing about 4:30pm. Book online now. The gathering point is the Margaret River Bed and Breakfast where there is plenty of parking but there are options to be picked up and dropped off at the Margaret River Visitor Centre in the town or at your accommodation. The Margaret River Bed and Breakfast is located in the heart of the Margaret River Wine Region and central to all attractions. Please call +61897587002 or email booking@margaretriverbnb.com for a special rate for your accommodation or book online at www.margaretriverbnb.com. Starting from the Margaret River Bed and Breakfast in a luxury people mover, the tour will take you north along the tree lined Caves Road, passing gorgeous vistas of vineyards on the rolling hills. Depending on interest, we will stop to examine geological features at places such as Gracetown, Moses Rock or scenically spectacular Willyabrup Cliffs and Canal Rocks. We can even visit Cape Naturaliste. We may also visit Prevelly and the Ellenbrook Homestead with its Meekadarrabie Falls. On our return, there are many famous wineries as well as boutique vineyards and breweries where we can stop and enjoy free tastings. You will learn about the origin of the different soils and climates that result in unique terroir that can produce some of Australia’s finest wines. Unfortunately, time seems to fly on our tour and not everything can be visited. If specially requested, we may also be able to visit the Margaret River Chocolate Factory, Bettenay’s Nougat Factory or the Margaret River Cheese Factory. Around midday we will go to the Mr Barval Winery and Cellar Door for lunch. This boutique winery produces some of the most highly rated wines in the region using old-world techniques. Small parcels of hand picked grapes are gently squeezed to release just their juice and then fermented using the natural wild yeasts on the grapes and then barrel fermented. With minimal treatment, the wines are allowed to naturally settle and only minimal sulphur added, the wines, as you will taste, are beautifully balanced. Lunch will be served in the alfresco area overlooking the vineyards and lake. Or it will be set up inside in front of a gorgeous log fire. The food has been specially selected to pair with their wines and afterwards the winemaker will take you behind the scenes to the winery where he will explain the Mr Barval philosophy and perhaps you can do some barrel tasting (depending on what stage the wines are at). Should the winery be closed, lunch will be held in a forest setting at the Margaret River Bed and Breakfast. Depending on the season there can be salad or soup, quiche, fresh home-made focaccia bread, cheese, cold meats or something hot. 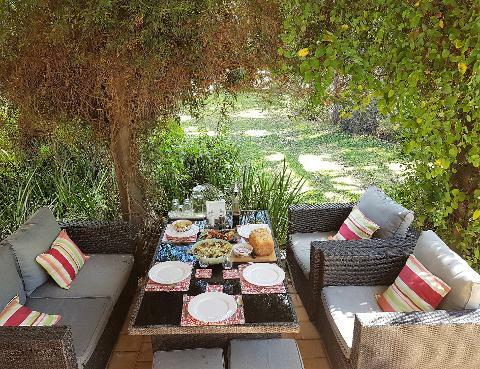 Relax in the alfresco area or lounge of the B&B, enjoy a glass of wine or beer or juice and have a cup of tea or espresso coffee. All included. After lunch the tour will head south, Depending on time and the inclination of the group, the first stop can either be a chocolate factory or a jam factory. The Temper Temper chocolate factory, Yahava Koffee roasters and Vasse Virgin olive oil and soap factory provide an entertaining flavoursome start to the rest of the days proceedings. The Berry Farm is a very popular jam and fruit wine factory where you can also taste chutneys, sauces, liqueurs and ports. The road then winds through peaceful rural country, crossing the Blackwood River and enjoying a second tasting at a lovely boutique winery until we reach famous Hamelin Bay. This historic bay is scenically spectacular and includes some fine examples of coastal morphology. A bonus is that the bay is a special nature reserve for stingrays and there is a flock of them that patrol the beach and they can also be hand fed. Returning up Caves Road, via a drive through the majestic Boranup Forest to look at giant Karri trees and the undergrowth vegetation, we can also stop at a giant sinkhole and discover the process of cave formation. 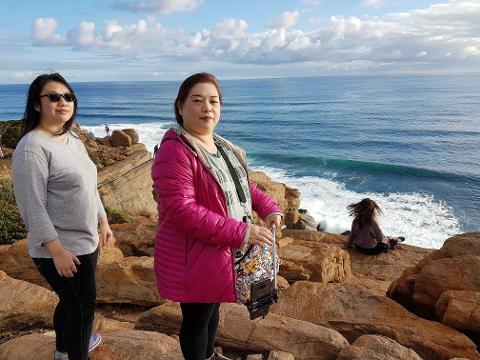 Time and interest permitting, the tour can also visit the tallest mainland lighthouse at Cape Leeuwin with spectacular coastal scenery and rocky outcrops. Depending on the weather, the tour may go south to Hamelin Bay in the morning and go north in the afternoon after lunch. Either way, you are in for a fun packed day.